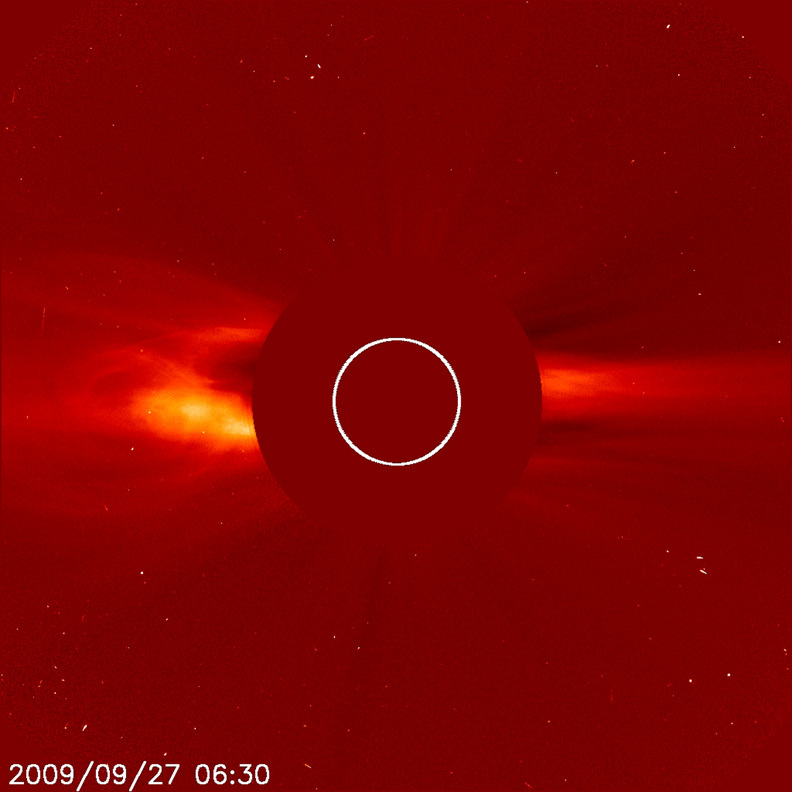 SOHO's C2 coronagraph caught two coronal mass ejections (CMEs) over about three days (Sept. 26-29, 2009), something we have not seen for many months. The larger event (shown in the still) blasts out to the left of the Sun, followed by a smaller event off to the right near the end of the clip. CMEs are solar storms that eject over a billion tons of matter at millions of miles per hour. The source of the first event appear to have been a eruptive prominence seen from the perspective of STEREO (Behind) The Sun has been sporting two sunspots over the past week or more, again an indication of a more active Sun than we are used to seeing over the past two years or more.